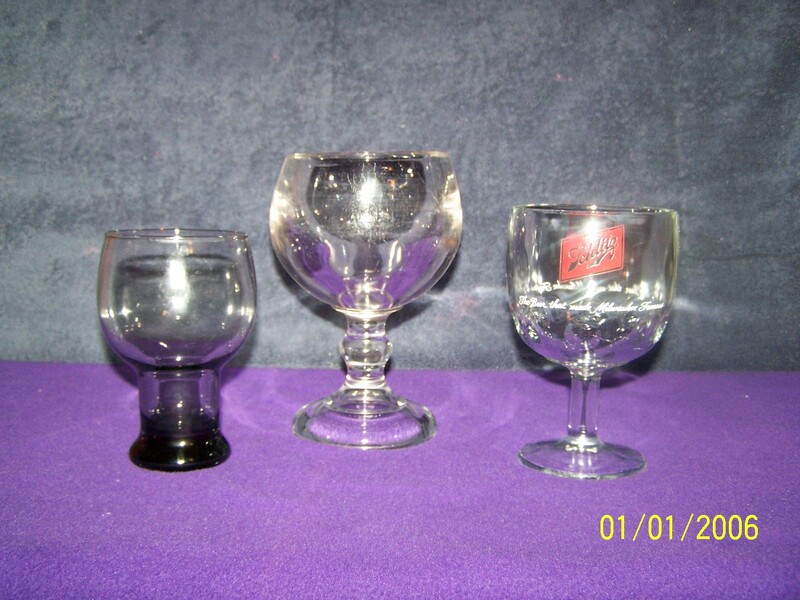 The Stemmed Abbey goblet vary widely in design and shape. A common characteristic is, all having a wide mouth which allows easy sipping. Many have nucleation sites (etchings), bubble producing bottoms which help beer maintain a frothy head that intensifies aromas. 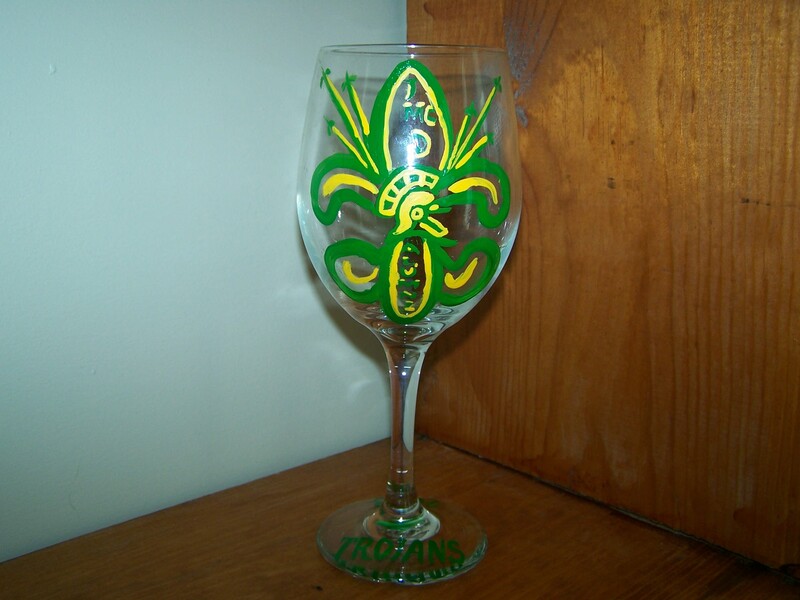 (1) A contemporary style goblet,designed to serve a full 12oz.single pour. (2) A thick,heavy,glass goblet and is a possible example of the style that may have been used as early as 1200 A.D. by the Aztec culture to drink chocolate, what was believed to be the elixir of the gods. This style is known to be placed in freezers for prolonged periods to serve a frosty pour. (3) suggested by its slender shaft this may be an Asian style goblet. This Schlitz collectible has finger indentions for easy handling.